Have you ever read the spec sheet on your favorite piece of gear and wondered what the terms mean? Are you interested in modifying your gear, but are intimidated by the jargon? Now you can have a cheat sheet for those little components that work hard to make electricity into music. Active device – A component that uses an outside electrical signal to control current. Transistors are generally active devices. Attenuator – A signal dampening device that is often in the form of a potentiometer (pot), a variable resistor like a volume knob or fader, but can be as simple as a single resistor. Capacitor – A passive component that stores charge, and is often used in the circuit like a temporary battery. It is also used to remove unwanted DC electricity from a circuit. When repairing circuits this is the little demon that can cause harm even when the power is off. It also has a tendency to short, and is generally the first component to go bad. Diode – A component that only allows current to pass one way. It is used in voltage rectifying (turning AC into DC). Light emitting diodes (LED) are another common application for these components. Inductor – A passive component that stores magnetic charge, and resist changes in current. It can be used to block AC electricity while allowing DC to pass through. Load – Any device that you plug into your designed circuit. It is the catchall term, especially when the circuit is in the designing stage. Operational Amplifier – A voltage amplifier that uses an external DC voltage to produce a high gain output. It often takes the difference between two input signals and outputs a single amplified signal. They are a key component in analog circuits, and have a variety of useful functions when combined. Oscillator – A circuit that creates a periodic signal, often sound when energized, usually by a DC signal. There are a variety of ways to build an oscillation circuit, but many of them function on the principle of creating a feedback cycle that self-sustains. Passive device – A component that does not control the electrical current by means of an outside electrical signal. Resistor – The simplest, passive component on your circuit board. It attenuates or dampens the signal. 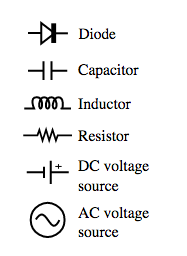 Every circuit has a resistor in some form, and a circuit without any resistance is a short. Transformer – A device that transfers electricity to another circuit using magnetically coupled inductors. They can be used to step-up or step-down the voltage from one circuit to the next. Transistor – An active device that can amplify or switch electric signals. It is one of the key components in electronics. They are used in analog and digital circuits, and can be found in tube or chip form. 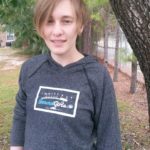 Nicole Kirch is a North Carolina based recording engineer and musician. In her short career she has worked on location sound, post-production, stage crew, and electronics. Her love of sound stretches to almost every niche. Nicole holds a BA in Sound Design from Michigan Tech (the first female to graduate from the program) and a BS in Electrical Engineering Tech from Austin Peay State University. She believes in female empowerment and independent music.